Kevin Kingston has been CEO of Danske Bank UK (formerly Northern Bank) since November 2015. He is also an Executive Board Member. 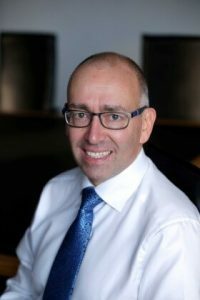 Kevin is one of Northern Ireland’s best known Bankers, with some 25 years experience serving the business community. Kevin was educated at University College Dublin, graduating in 1988 with First Class Honours in Accounting & Finance, passed the Final Accounting Examination with the Institute of Chartered Accountants in 1990, holds an MBA from University of Ulster and qualified in 2012 as a Certified Bank Director with The Institute of Banking in Ireland. He is a past President of Northern Ireland Chamber of Commerce & Industry and a past Chairman of the Chartered Accountants Ulster Society.